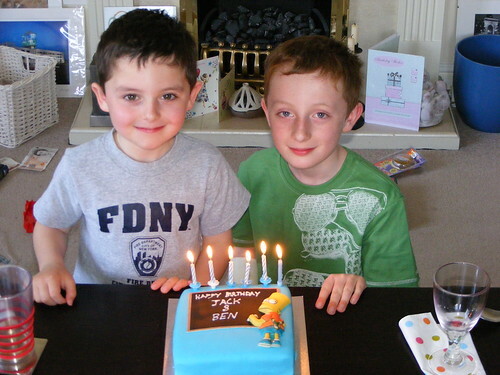 Jack is 6 today and Ben is 9 on Wednesday so birthday celebrations were this weekend’s activity and new bikes for all! I’m working on some aims and objectives for my job. I tell everyone I train to do it so it’s practice what you preach time. The thing is… I can write down the stuff I do/will do/can do standing on my head OR I can do all that and try to do something that will make a difference. We have been talking a lot in our little Synod Team about ‘Culture Carrying’. That discussion has grown from a feeling that we have to do better than maintaining the church. To do that we need to embody something else. We need to be culture carriers. Does any of the stuff I do make a difference? And if it does, who or what does it make a difference to? And are those the right people? What culture should I be carrying? I start where I always do. Asking for thoughts and ideas. Headphonaught suggests I keep being me. I’m not sure I can be anything else, or that I can write that down on my forward plan! I think he’s right though. I need to be authentic. And so does the church. If it’s not about life and living it then what’s the point? Avril asked me what difference the church can make to the lives of people in and out of it? I don’t really know the answer to that question. I’m sure it makes a bigger difference than we might at first think because the ‘organisation’ isn’t the be all and end all of being church thank God. The people live and move in the world, loving, caring, helping and supporting as they go. But then so do lots of others who have no involvement in church. My thing is children and young people and the adults that work with them. At least that’s what my job is. My problem is that sometimes I have no idea what to do with that. (is that something I should be admitting?) I sometimes wonder if the church as it exists is anyplace for our children and young people? In some cases yes and in some no. What I have noticed is that the churches that are willing to invest some time, money and most of all themselves are the ones that do well with children and young people. And yet few of our churches are growing significantly. That isn’t because they are not good places full of good people. I would recommend a number of them to anyone. I wonder if it is because we don’t advertise our existence? Is that a confidence thing? Are we silent because we don’t know who we are or what we are for? I wrote a chapter in a book called Inside Verdict which I began with the words “This isn’t working anymore.” Well, is it any better now? Of course some of it is. The Together@MCT project I’ve been working with people on perhaps sheds some light. Engaging worship. Discussion with no pressure. Hopefully some community building. But I’m not sure we have gotten our heads around who it is for and how we should move forward yet. We need to keep the bigger picture before us. That will come though. The pervasive themes of personalisation and participation return to my thinking again and again. The world, my world, seems to value both of these. How does that fit with community? It seems to in the world of facebook and bebo. I can be me. I can have my personal page but I belong to the community and can participate and add and contribute. How does/could/should that work in church? Media that targets you but doesn’t include you may not be worth sitting still for. So just a few questions to answer. I’ll get back to my aims and objectives now and see if any or all of those thoughts make it onto the page. Your thoughts would be much appreciated. Really. They would. You are currently browsing the archives for the God Stuff category.